If you dream about refined aristocratic theme for your online wine store, we are happy to present it to you. The layout contains bordeaux elements catching the user's eyes. 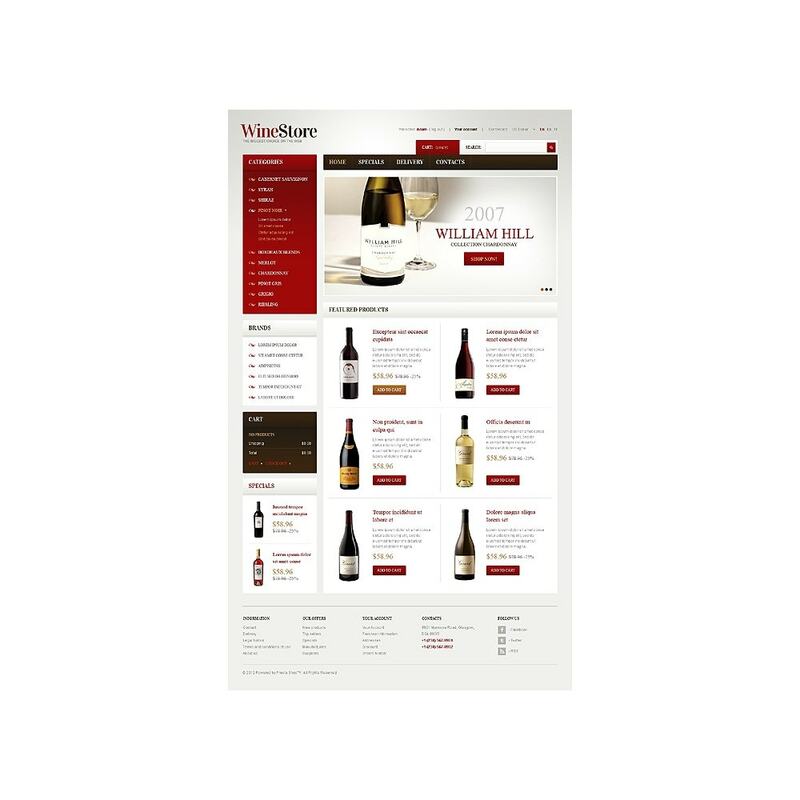 Twisted decorative details add charm to the design. 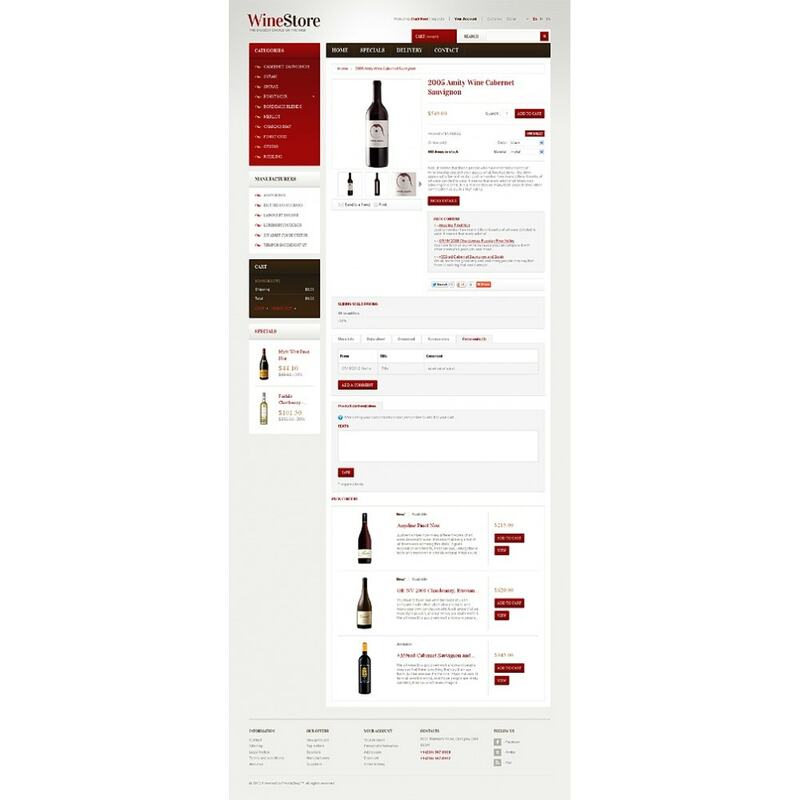 Slider and Featured products sections display the noblest wines, able to enrich your customer's collection. 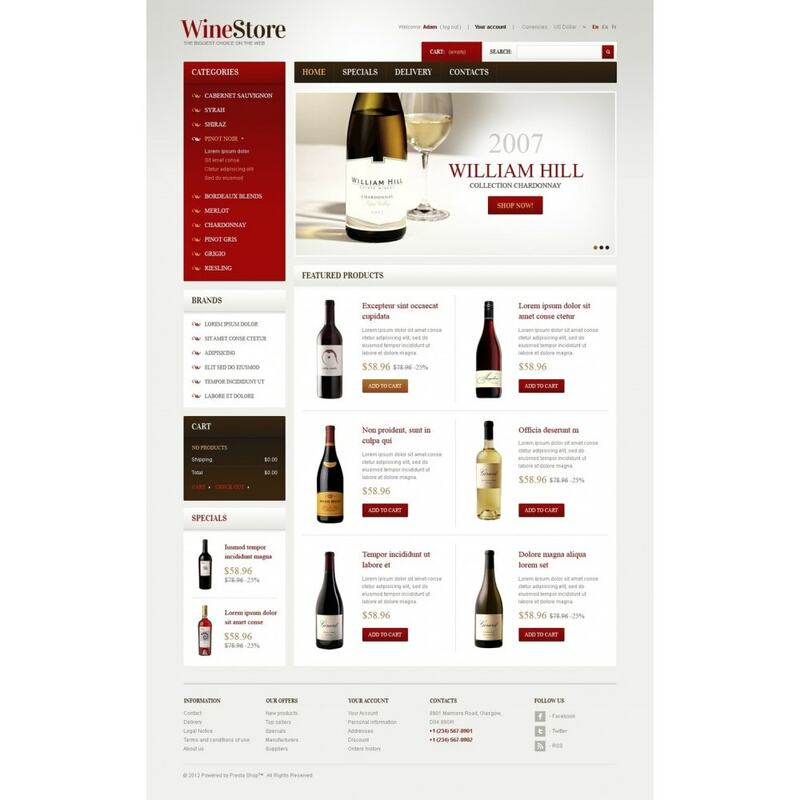 The template was tailored to the needs of online wine stores.